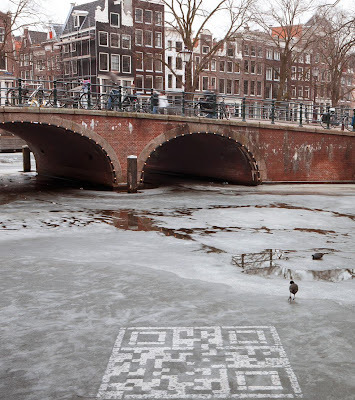 Collection of the best QR-Code based Advertisements from around the world. Pizza Digitale QR Code Advertisement: Scholz and Friends Hamburg wanted to hire the most talented digital creatives from other major agencies. And for this they came up with a special pizza - 'Pizza Digitale'. In cooperation with the Croque Master, these special pizzas were added to every order for four weeks from other major agencies' employees. 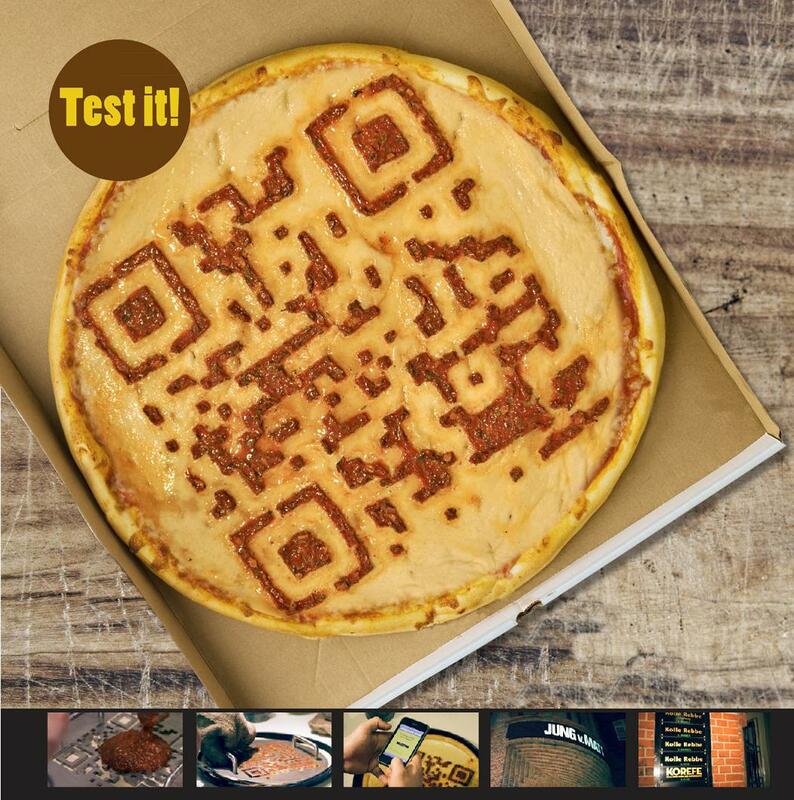 The toppings of tasty tomato sauce, shaped like a QR-Code, directly links to a mobile landing page. Employees of the other major agencies who have enough digital competence were able to decode the Pizza Digitale made an addition to Scholz and Friends' Digital Department. Copywriters Crossword QR Code Advertisement: To hire the best copywriter in Warsaw a crossword dedicated to the advertising business was published in the biggest marketing magazine in Poland. And this got the top copywriters from advertising agencies in the city, but none knew that the crossword was the part of the recruitment process. Crossword turned into a QR code on completion. 300 candidates were able to complete the crossword and the QR code displayed the direct phone number of the creative director for recruitment. AXA Bank QR Code Advertisement: For the launch of their renovation loan, AXA Bank created one of the largest and most beautiful QR codes in Belgium. They created this by placing thousands of different colors of tins of paint to form an oversized QR code. 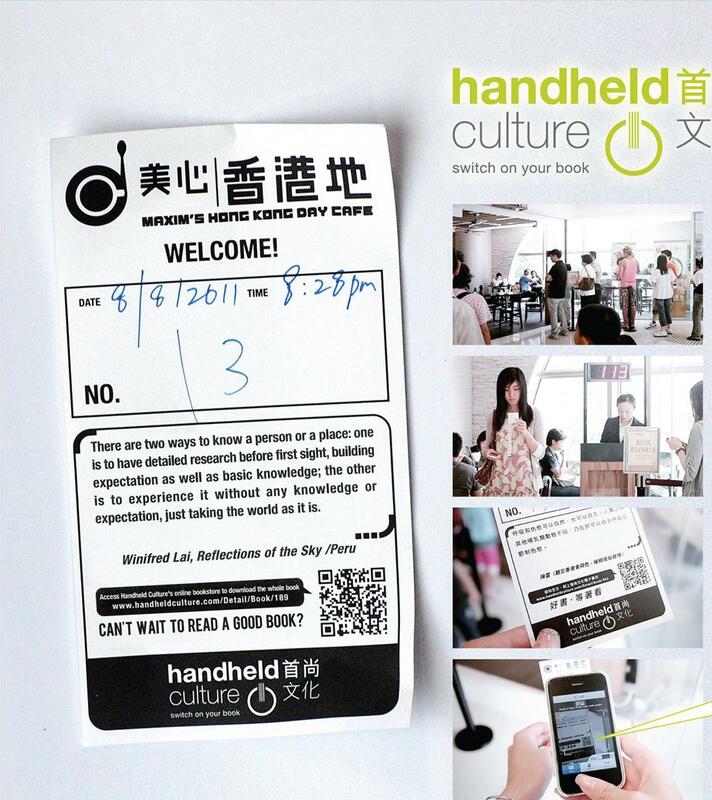 HandheldCulture QR Code Advertisement: HandheldCulture an electronic bookstore needed to encourage people to read more, and drive sales. But due to long working hours, people didn't have much time to read. So HandheldCulture required to find extra time in order to sell their electronic books. Another interesting factor was that the people here never lazied their time except when they are queuing. The creative solution was to utilize the queuing time for reading. And so the restaurant queue number paper slips were used as the medium. So they printed short quotes from 100 good books on different paper slips along with QR code that allowed queuing customers who were waiting, to access and download the entire book on their smartphone or mobile device. 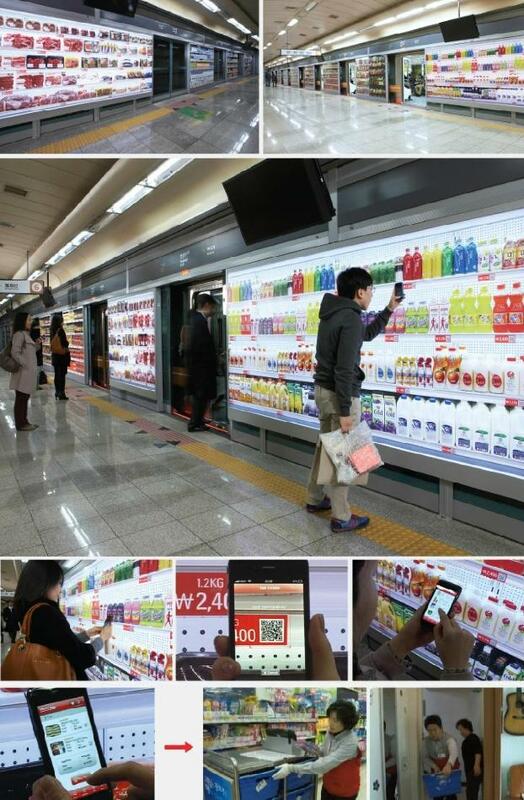 HomePlus Subway Virtual Store QR Code Advertisement: HomePlus had fewer stores compared to the competitors' and people tend to buy from the stores near to their homes. HomePlus wanted to increase their sales without increasing the number of stores. So HomePlus decided to take the store to the people and created virtual stores in subway stations hoping to blend into people's everyday lives. Although this was virtual store, the displays were exactly the same as actual stores - from the display to merchandise. The only difference was that the customers needed to use their smartphones to shop now. The smartphone would take the QR code and the product lands automatically in your shoppingcart. When the online purchase is done, it would be sent to the customer's door right after they got home. 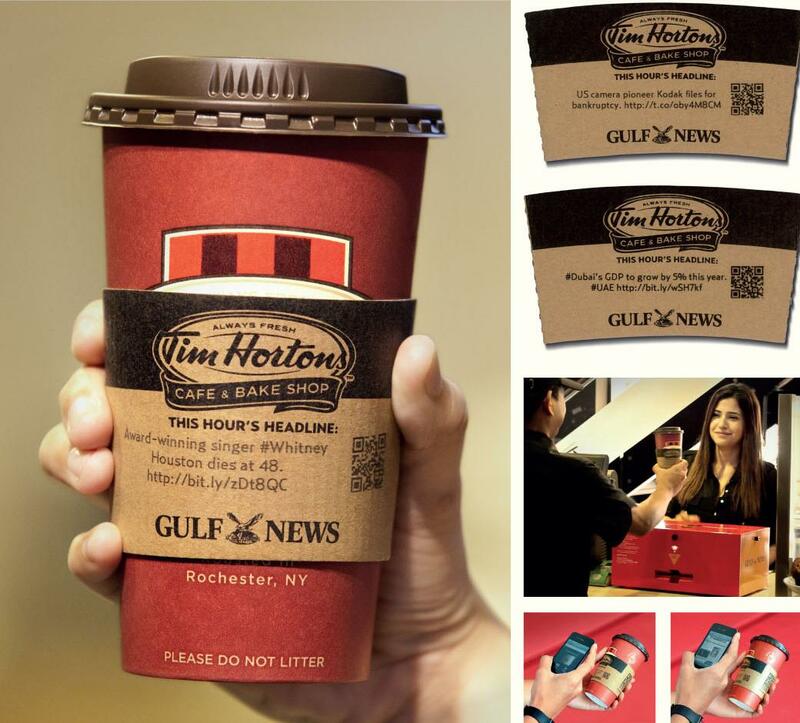 Cup Sleeve QR Code Advertisement: 'Headline News' Cup Sleeves were created and in partnership with Tim Hortons, (known for its coffee and doughnuts); a special news print was designed that pulled out the latest news tweets (updated hourly) and prints them on the coffee sleeves. 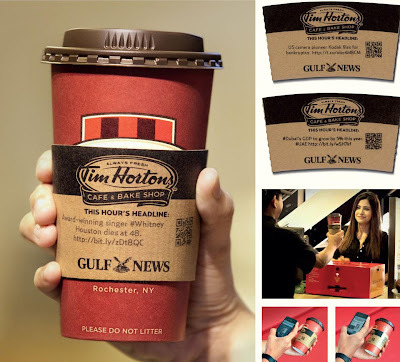 When Tim Hortons customers received a cup of coffee, they also received the headline news of the hour, and QR code on the sleeve then directed them to the News website where they could read the full story. 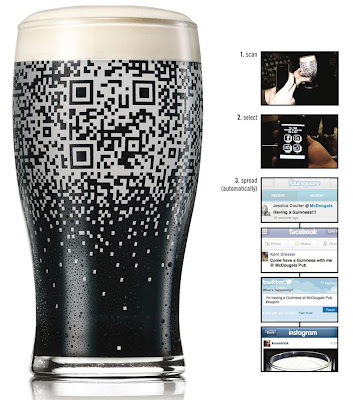 Cup QR Code Advertisement: When the QR cup was filled with beverage it revealed a QR-code. 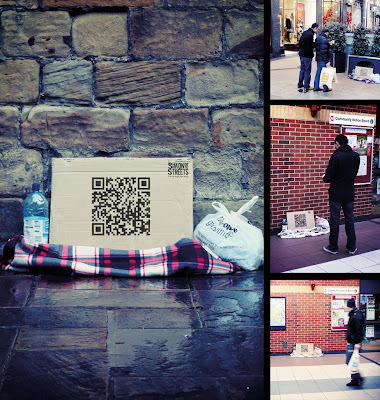 Cardboard QR Code Advertisement: Many people want to give cash gifts directly to those who needed it but aren't sure how their money would be used. For this QR codes were printed on cardboard and placed alongside blankets, shopping bags and empty bottles, items normally associated with such a person. The QR codes linked directly to a page where members of the public could give money though a proper channel. 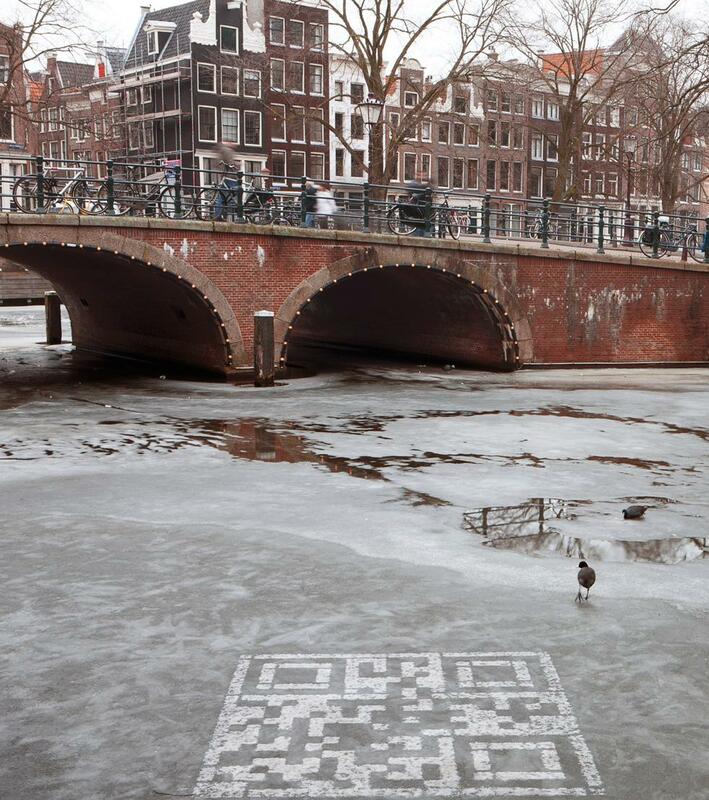 Frozen QR Code Advertisement: QR codes were placed on the frozen Amsterdam's canals and had the link to the site that has information on the it. And once the temperature started rising up, the message was clear. Jive Talk CD Package QR Code Advertisement: To advertize their latest album, an interactive cd design was created. Once the smartphone takes the QR code, you need to place your smartphone over the band members' mouths and watch them sing their music!